WARNING: Today’s post is going to be random. The theme is pretzels. The reason that he sent me this picture was because I was always disappointed to not find pretzels at the Albert Heijn we usually frequent – though I probably just missed them. He got these recently from the Hoogvliet supermarket. This got me thinking of my last trip to the Netherlands last summer. During that summer we planned two trips. One in June for about 10 days, where he and his mom would come visit (her first time in New York City since the ’70s). We also planned for me to come to the Netherlands the last week of July and the first week of August. I was able to get all three weeks off successfully, but his employer asked him to work that week in July and only take the first week of August off. One of days that he was at work, his mom and I went to the town he worked at by tram and hung out for the afternoon waiting for him to get out of work. We did some clothes and shoes shopping, and had lunch at Hema. One of the last things we did was visit Hoogvliet for some sliced turkey to bring home. So I guess one could say I am not sure if it would have unfolded the same way if we hadn’t planned both trips. Otherwise he might have been able to to take both weeks off while I was there in the Netherlands and I wouldn’t have explored part of the Hague myself. 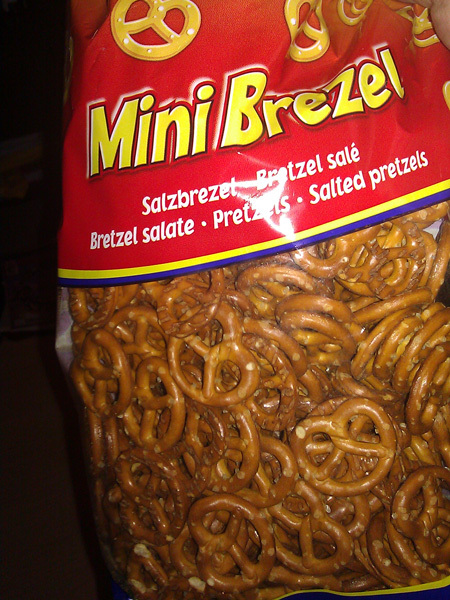 So in a long winded way, the bag of pretzels reminds me of my future home. See what I did there? Now the blog title makes sense!